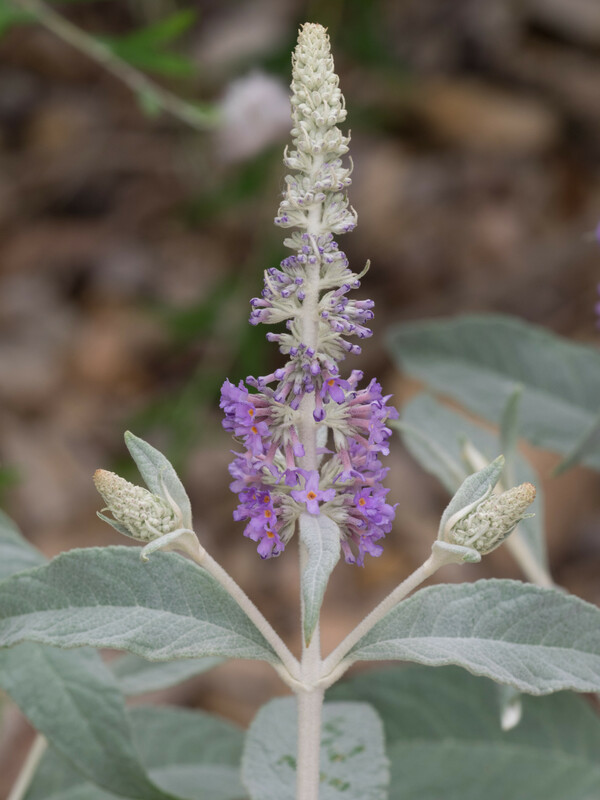 Buddleja fallowiana is a deciduous shrub with a lax habit. 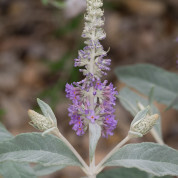 The young shoots are clothed with a dense white felt and the pale lavender – blue flowers are borne in late summer. Although root hardy the plants can be cut down by hard winters and is best grown in a greenhouse. Buddleja fallowiana was collected in China by George Forrest in 1906, and named in 1917 for George Fallow, a gardener at the Royal Botanic Garden, Edinbburgh who had died in Egypt from his wounds during the First World War.